Mashup albums FTW! - checkdissouts Webseite! Dann haben sich die bekanntesten deutschsprachigen Mashup Produzenten versammelt, um "RAOP" in seine Einzelteile zu zerlegen und es in neuem Gewand wieder auferstehen zu lassen. Das Ergebnis wurde "MAOP" getauft und es erscheint zunächst im Stream mit freundlicher Genehmigung von Cro & Chimperator. Auf dem Album sind 13 Produktionen von DJ Morgoth, DJ Schmolli, Mashup-Germany, MashMike, DJ Y alias JY und Marc Johnce zu finden. Zusätzlich gibt es vier Bonus Tracks. Free download and more infos (tracklist and artwork) on the official page by clicking on the cover. 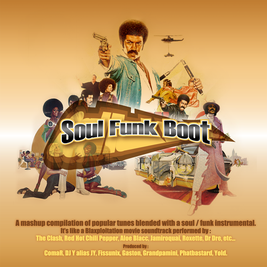 A mashup compilation of popular tunes blended with a soul / funk instrumental. 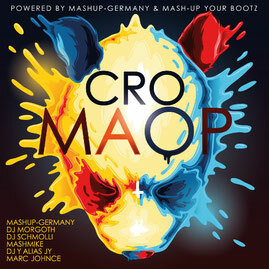 Produced by the mashup artists ComaR, DJ Y Alias JY, Fissunix, Gaston, Grandpamini, Phatbastard, Yold. 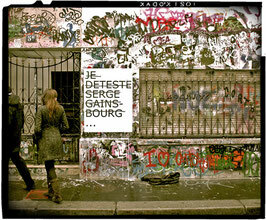 This is a special Serge Gainsbourg mash-up album called "Je Deteste Serge Gainsbourg" . The album has amazing mashups put together by producers ComaR, DJ BC, DJ Y alias JY, PhatBastard, Mighty Mike, GrandPamini, Gaston & Yold. At all it features 14 tracks (in addition to 5 bonus tracks) of Serge Gainsbourg mixed and mashed alongside artists like Snoop Dogg, Dr. Dre, Jadakiss, Notorious B.I.G., Eminem, 50 Cent, Major Lazer, Kings of Leon, The Gossip, The Offspring, and Michael Jackson among many others. 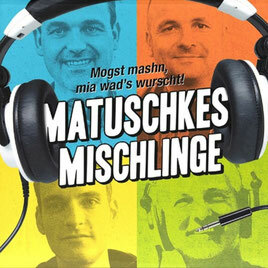 In honor of Matuschke, the greatest radio show master on Bayern3, MashMike and I had the idea to realize a tribute mashup album, made with Matuschkes Lieblinge. Here's the result. Free download and more infos (tracklist) on the official page by clicking on the cover.